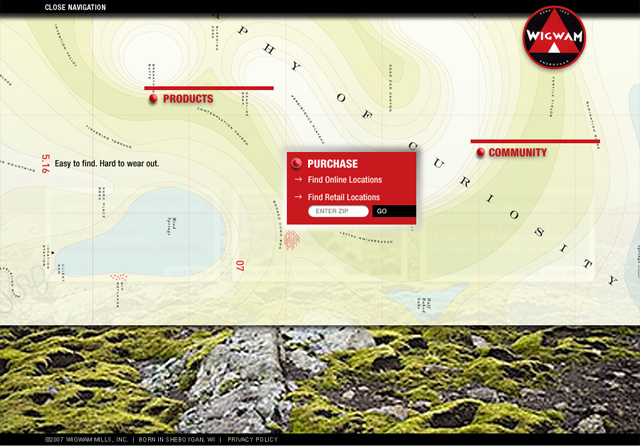 Wigwam - BrainstormOverload - Small design studio. Big ideas. 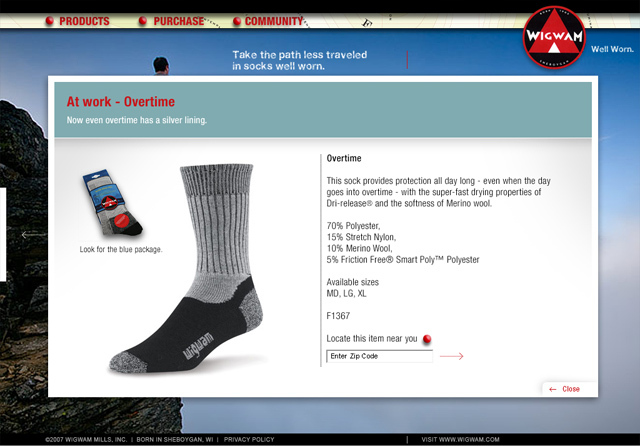 Periscope had the opportunity to pitch to sock maker Wigwam. 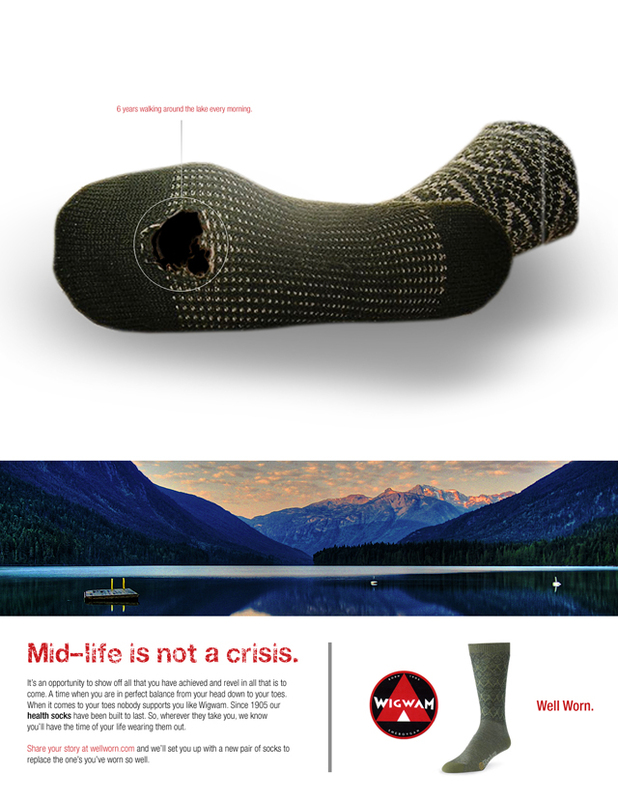 Todd’s integrated concept was “Well Worn”. The boldness of showing the product worn out was partnered with copy that made the point that socks well worn represented a life well lived. 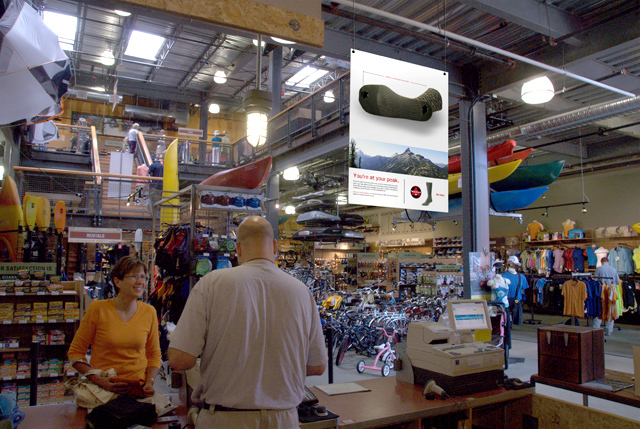 For the pitch Todd was responsible for copy writing, art-direction and design including ads, web and this point of sale signage concept. 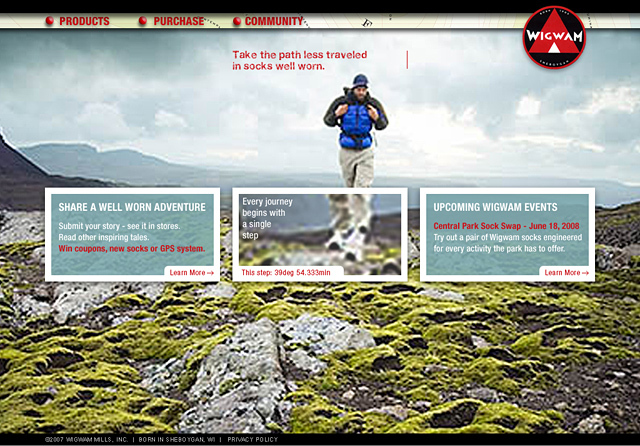 The website was intended to show case product but also feature a strong social component in which customers shared their stories of adventure that featured their reliable Wigwam socks.